I have achieved the CRS, CSP, GRI, SRES designations. 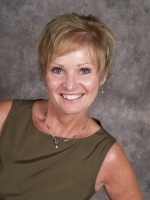 My name is Vicki Waier and I'm a Realtor with Rodeo Realty Fine Estates in Woodland Hills. I'm excited to be a part of the Chamber and the community.